Both casinos will have temporary sportsbook facilities for now, with permanent sites to open up in 2019. There are also clear intentions to bring sports betting to mobile users in the state, and in a jiffy. “Caesars Entertainment plans to quickly introduce mobile sports betting throughout New Jersey and on property in Mississippi on the Caesars Casino & Sports mobile app,” a company official said in a statement. 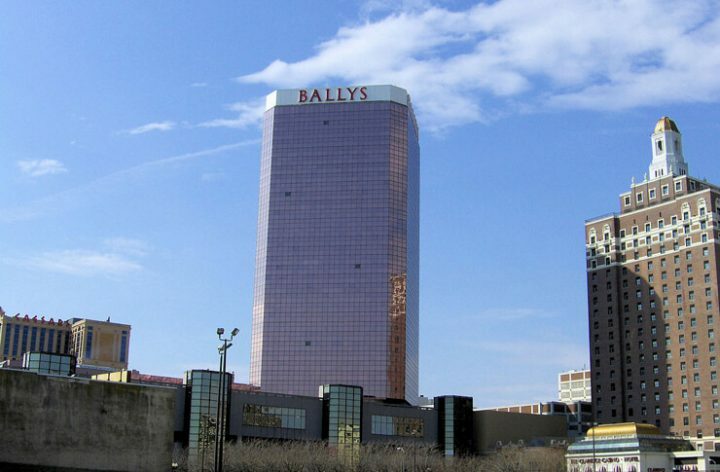 Bally’s and Harrah’s join a group of properties offering sports betting in New Jersey that currently includes Monmouth Park, the Meadowlands Racetrack, and Borgata and Ocean Resort (formerly Revel) casinos. The online sports betting angle — no date set, but expectations are that it will start very soon — is particularly intriguing. From the looks of it, the new online sports book will be integrated into the existing CaesarsCasino.com New Jersey online casino, and the site, which has been in operation since November 2013, will be rebranded as Caesars Casino & Sports. The integration will extend to the online casino’s mobile application. Also on Monday, Caesars announced that SG Digital, a division of Scientific Games, will “power the Caesars properties with its OpenBet sportsbook technology,” including its digital properties. Caesars online casino in New Jersey is also powered by SG Digital. The integration of online casino, sports betting, and presumably, online poker, opens up a wealth of opportunities for Caesars. Namely, the operator will gain the ability to offer cross-vertical promotions, driving customers who initially came to the site for sports to try out casino games, and vice versa. Going further, a brick-and-mortar player can be enticed to try the Caesars websites, an online poker player might play enough to earn a free room, and an online casino player can learn about legal sports betting. Who’s next for sports betting in NJ? A Freehold Raceway official recently told me for NJ Online Gambling that the harness racing track would not be ready for opening day of the NFL season, but sports betting will be on the menu sometime this fall. Most of the Atlantic City casinos that have or intend to have sports betting in 2018 will be up and running by NFL Day One. The other two sites that could theoretically offer sports betting are the locations of the defunct Garden State Park and Atlantic City Race Course tracks, although it’s unlikely either will be a player anytime soon. Harrah’s is catching up with Borgata, the dominant casino among the three in the Atlantic City Marina District. Golden Nugget last week announced a sports betting partnership with SBTech. The one catch there will be that Golden Nugget won’t offer NBA betting because its owner, Tilman Fertitta, also owns the league’s Houston Rockets franchise. Horseshoe Tunica and Harrah’s Gulf Coast in Mississippi are scheduled to offer sports betting in about two weeks, “just in time for football season,” according to the release. In that region, the focus isn’t just on the NFL. Big-time SEC college football is massive in Mississippi, a state that’s home to the fan bases for Ole Miss and Mississippi State and easily reached by fans of Alabama, Auburn, LSU, and other powerhouses. Mississippi will become the fourth state to offer legal sports betting, joining Nevada (for a half-century), Delaware (since June 5), and New Jersey (since June 14). Mississippi and Delaware do not yet offer online sports betting, so New Jersey’s first-year experience in that regard may influence how other states act. Total Rewards is already a part of Caesars’ and Harrah’s online casinos in New Jersey, allowing patrons to earn online credits that can be redeemed on the site or at an affiliated casino. In addition, online players also earn tier credits, which are applied toward their TR status.